This model is also available in Black. If you require the Black chassis - please contact us for ordering. 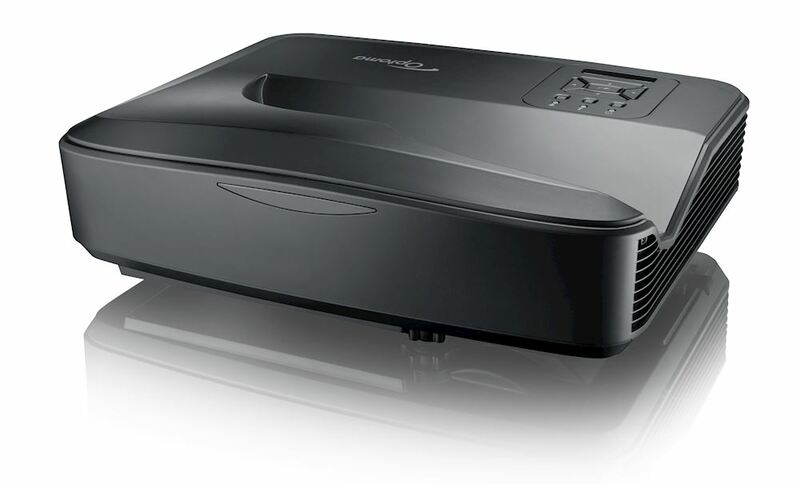 The Optoma ZH420UST is a dedicated ultra short throw projector which features 4000 ansi lumens, native widescreen high definition 1080p resolution (1920 x 1080 pixels, 16:9 aspect ratio) and is powered by a long-lasting, low maintenance DuraCore laser light source. The Optoma ZH420UST features 4000 ansi lumens, 1080p Full HD resolution and its light source is powered by a long-lasting, low maintenance DuraCore laser light source. The lamp-less design vastly reduces running costs for a low total cost of ownership. 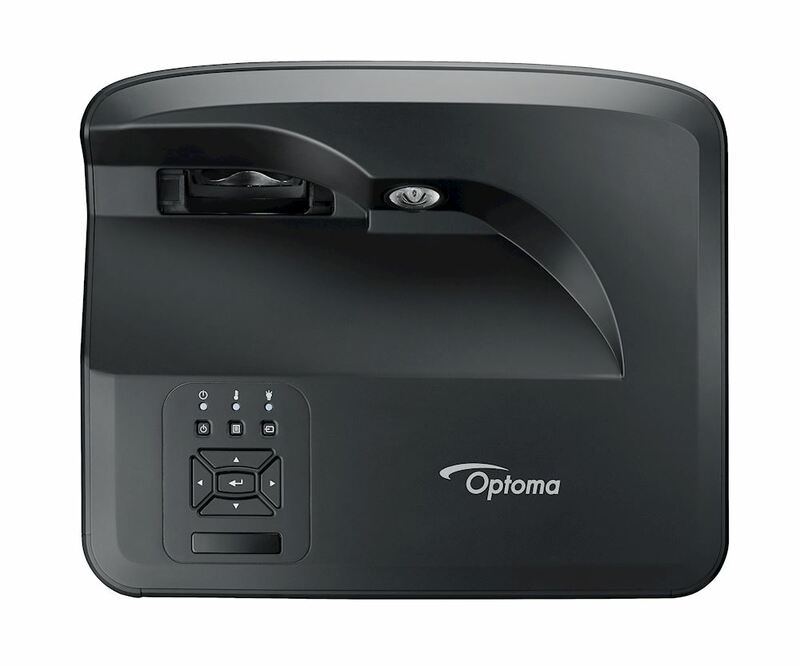 Weighing only 5.5kg, the Optoma ZH420UST is a dedicated ultra short throw laser projector (0.25:1 lens ratio) that can be mounted just centimetres away from a wall or surface and can project an image size of over 100 inches (254cm). Supporting 24/7 operation and versatile orientation, the ZH420UST is a flexible, powerful and bright ultra short throw projector which makes for a superb signage solution where space or accessibility can be limited, such as shop windows, museums or retail displays. Advanced features of this model include integrated HDBaseT receiver, and warping and blending engine (multi-output graphics card supporting overlap adjustment is required). Industry leading lifetime is achieved using Optoma’s DuraCore technology. Implementing advanced laser diode cooling techniques and an innovative dust resistant design. Independently tested and certified to IEC standard 60529 with an IP5X dust resistance rating. Outstanding dust resistance combined with exceptional brightness ensures industry leading durability; paramount for 24/7 maintenance free operation in challenging environments. With an ultra-short throw lens, you can project an impressive image greater than 100” from less than a metre away. This allows you to place the projector closer to the wall, reducing shadows so you can present with ease; perfect for interactive applications. Uncompromising, uncompressed Full HD video, audio, network and control commands all delivered on a single CAT- type cable capable up to 100 meters/328 feet without signal loss makes installation hassle-free. HDBaseT simplifies cabling requirements and reduces installation complexity saving both time and reducing costs. This model has guaranteed compatibility with the Optoma 4K100TX HDBaseT transmitter (available separately). The 4K100TX integrates seamlessly with any HDMI enabled source device and delivers uncompressed UHD (70m) or Full HD (100m) video and audio via one CAT cable (CAT6A recommended). Thanks to its HDMI loop out which allows cascading and connection to an additional transmitter or display, content can be viewed on multiple display devices without the need for HDMI splitters or other distribution equipment. 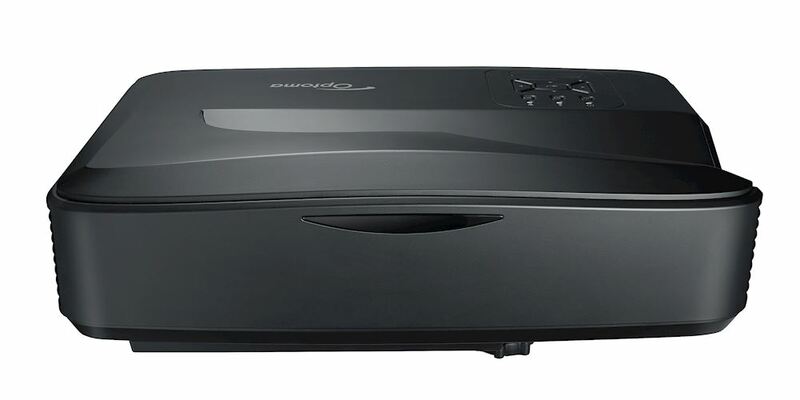 Integrated warping and edge blending processor enables multiple projectors to be warped and blended without additional dedicated hardware, reducing the cost & complexity of installation. Warping and edge blending is configured using either the projectors on screen display or with PC software depending on model. *Compatible multi output graphics card with overlap function is required. 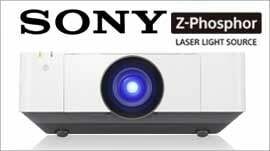 Optoma projectors provide reliable colour performance suitable for any content and environment. From accurate sRGB colours for lifelike images to vibrant punchy presentations. We have a display mode to specific meet your needs. Perfect for a range of graphic and video presentations. Display accurate lifelike colours to best match your viewing environment. This unique feature provides you with the flexibility to fine-tune the colour settings for optimal precision. Signals can be delivered simultaneously via the HDMI and DVI ports, for a PbP or PiP display from two digital sources – perfect for video-conferencing and other collaborative applications. True AV mute enables the light source of the projector to be instantly switched off and on at the press of a button. Unlike standard AV mute functionality no light is emitted from the projector, this gives 100% blackout on screen. Ideal for digital signage applications you can rotate your projector 90 degrees to project a portrait image. 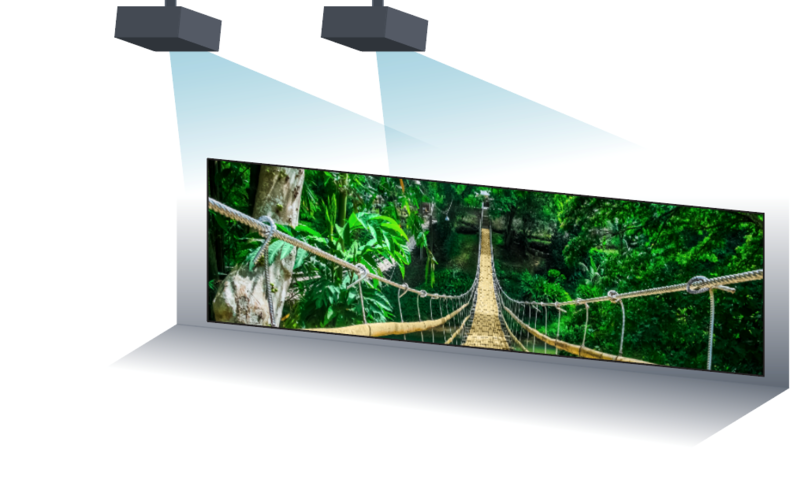 Optoma projectors can display true 3D content from almost any 3D source, including 3D compatible graphics cards, 3D broadcasting and the latest generation 3d media servers. The wired remote connection allows all aspects of the projector to be individually controlled without requiring a line-of-sight to the projector; invaluable when using multiple units during live events. 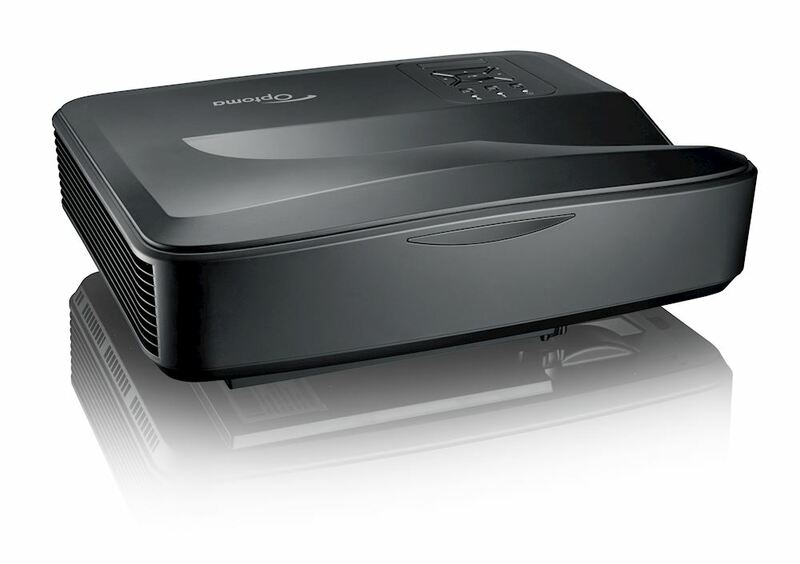 Featuring a wide range of options you can control and monitor the projector remotely. • RS232 Optoma projector’s come with an extensive set of RS232 commands making it simple and easy to manage using any control system. • AMX Compatibility Dynamic discovery protocol is incorporated into the projector allowing for easy installation with AMX control systems. • LAN Control Using the compatible RoomView® software you can power on/off, monitor, manage and control up to 250 projectors at the same time from any computer. • Schedule the projectors to power on/off. • Control and alter the projector settings using the simple web browser. • Emergency text broadcast capabilities for urgent or important announcements. • Automatically receive email updates for lamp maintenance. PJLink PJLink protocol is incorporated into the projector allowing for easy installation with PJLink compatible control systems. Customise your projector Have your projector in any colour. Chose from any RAL colour. Perfect for bespoke installations. *Contact us for more information"
Integrated speaker A powerful built-in speaker provides exceptional sound quality and an easy setup without the need for costly external speakers.